Stadio Ciro Vigorito, initially called Stadio Santa Colomba, officially opened on 9 September 1979. Upon completion, the stadium could hold 25,000 spectators, but over the years capacity got reduced due to safety reasons, first to 18,500 and in the last few years to around 12,000, also because the Curva Nord stopped being used. In 2010, the stadium got renamed Stadio Ciro Vigorito following the death of club director Ciro Vigorito. 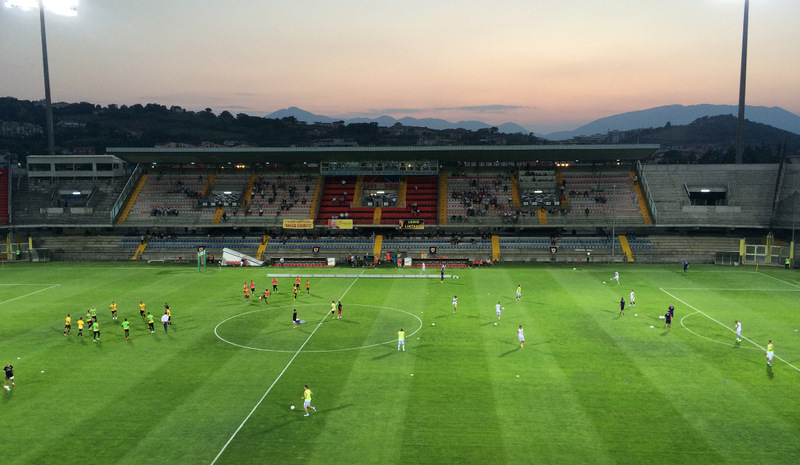 In 2017, upon Benevento’s promotion to the Serie A, upgrades were made to the stadium with the intention to increase capacity to over 17,000 again. 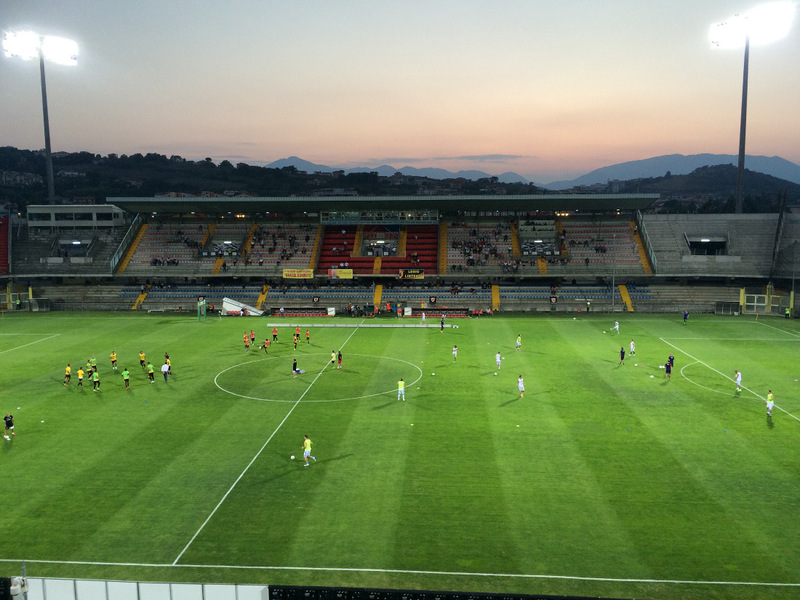 Stadio Ciro Vigorito is located in the south of the small city of Benevento at roughly 2 kilometres from the historic centre. The walk from the centre to the stadium takes just under 30 minutes. Benevento’s main railway station is located about a kilometre north of the historic centre. A few direct trains a day connect Rome with Benevento. The journey takes just under 2 hours. From Naples, located closer to Benevento than Rome, a change at Caserta is required. The journey also takes around 2 hours. A few regional trains, e.g. from Salerno, also stop at Benevento Porta Rufina station, which lies closer to the stadium, approximately 15 minutes walking. Tickets for Benevento games can be bought online through Listicket, or through the sales outlets of the Listicket network, which includes Bar Mirage Benevento at Piazza Roma 13/14 in Benevento’s historic centre. Tickets can furthermore be bought at the ticket windows of the stadium on the day before and the day of the match. Beneventocalcio.club – Official website of Benevento Calcio.